Malaria disease is a serious infection and can be fatal if not treated properly. It is widespread in many tropical and subtropical countries around the world. You cannot be vaccinated against malaria but you can, and should, take all necessary precautions if travelling to malaria infested area. Malaria leaves no one alone, even rich and famous celebrities like George Clooney and Cheryl Cole have contracted the disease. So even if you are travelling in style you should still take necessary precautions against the malaria disease. Malaria is a life threatening disease caused by Plasmodium parasites and they spread to people through the bites of infected female Anopheles mosquitoes. There are about 20 different Anopheles species and they mainly bite between dusk and dawn. Most malaria cases occur in sub Saharan Africa (the whole of Africa south of Sahara) but Asia, Latin America and parts of the Middle East and Europe are also affected. Malaria has been present in over one hundred countries and territories in the last few years. It is estimated that around one million people die every year from malaria, mostly children living in Africa. Malaria is however both preventable and curable. Travelers from malaria free areas tend to be non-immune to the disease and therefore vulnerable to the malaria disease if they get infected. So you should always take necessary malaria preventions if you are travelling to a malaria infested area. How To Prevent Contracting Malaria? There are number of ways to prevent malaria or to reduce the risk of contracting the disease. First is trying to avoid to get bitten in the first place. 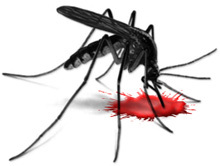 Mosquitoes can not only transmit malaria, they can also spread yellow fever, dengue and Japanese B encephalitis so avoiding getting bitten by any mosquito makes perfect sense. Mosquito bites are also very uncomfortable. Avoiding all bites is almost impossible so you should seriously consider taking anti malaria tablets if travelling to a malaria risk area. There are many types of malaria tablets available and like all medicines - anti malaria tablets can sometimes cause side effects so seek medical advice before deciding which one to choose. It is extremely important that you take them as instructed, i.e. to cover the whole incubation period of the disease. You might have to start taken them weeks in advance of travelling, regularly during your journey and even for a period after you have returned back home. No preventive measure, including taking anti malaria tablets, is 100% effective so your best bet is to take as many precautions as you can. So even if you take your anti malaria tablets as instructed, still try to avoid being bitten in the first place. Wear long sleeves, use insect repellent, use mosquito nets, etc. Malaria symptoms include fever and flu like illness, i.e. shaking chills, muscle aches, headache, tiredness, etc. Nausea, vomiting and diarrhoea can also occur, as well as anaemia and jaundice (yellow colouring of the skin and eyes). The malaria life cycle can vary. Malaria symptoms usually begin 10 days to 4 weeks after infection... however people can fall ill up to one year later. So if you get any malaria like symptoms up to one year after coming back home from your travels... seek medical advice and advice your doctor that you have been travelling in malaria risk area. Malaria disease can be cured with prescription drugs. The type of drugs and length of treatment depends on what kind of malaria is diagnosed, where the patient was infected, the age and general health of the patient, and how severely ill the patient was at the start of treatment. Remember, malaria is preventable so always take necessary malaria preventions if travelling to a malaria risk area. However if you get sick despite taking all necessary precaution... then the malaria disease is curable but the sooner you seek medical advice the better. We recommend you to prepare yourself in advance of travelling. Besides malaria tablets, which you should discuss with your doctor, there are number of anti malaria products available. It is easy and convenient to buy insect repellent and mosquito nets online. Buying these items last minute is never a good idea, and you can never count on being able to buy them at your destination. There are various lotions and insect repellent spray available. If you need to use sunscreen at the same time as insect repellent, then check out products that combine the two. Otherwise, make sure you apply the sunscreen first and then the insect repellent. It is also good idea to buy some after bite lotions to sooth any itching from insect bites. Sun Protection Clothing not only protects you from the sun, many of them also protect you from the nasty insect bites and can therefore play important role in your malaria disease precautions.